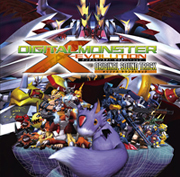 First, the X-Evo BGM coverart as the appetizer. Facing what lies beyond another door, a new story will come to life. Yeah... I think this needs some discussion.